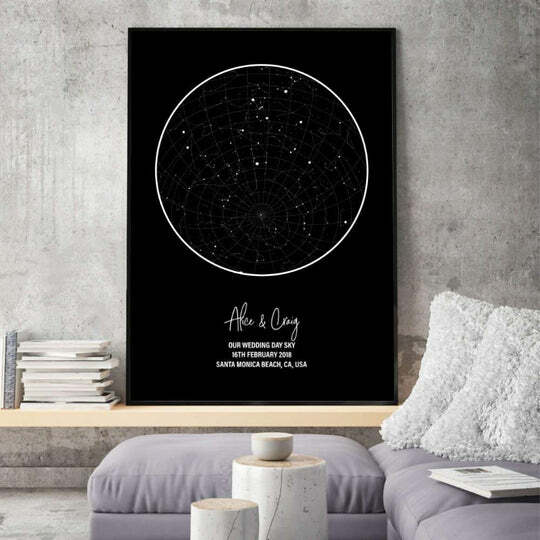 Get inspired with these star map gifts that make the perfect gifts to surprised your loved ones on any occasion. 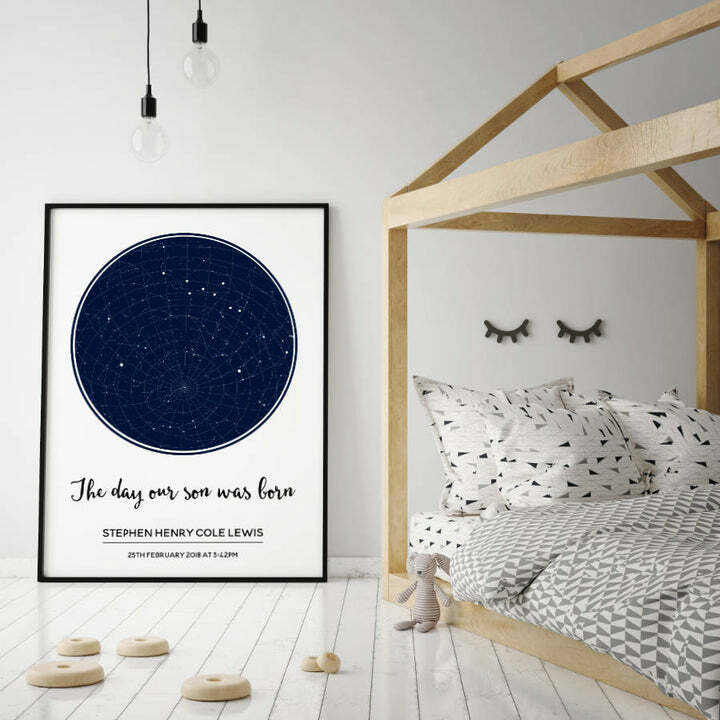 We have put together our best night sky map gifts that can be personalised for an Anniversary, Wedding, new baby, birthday, you choose! 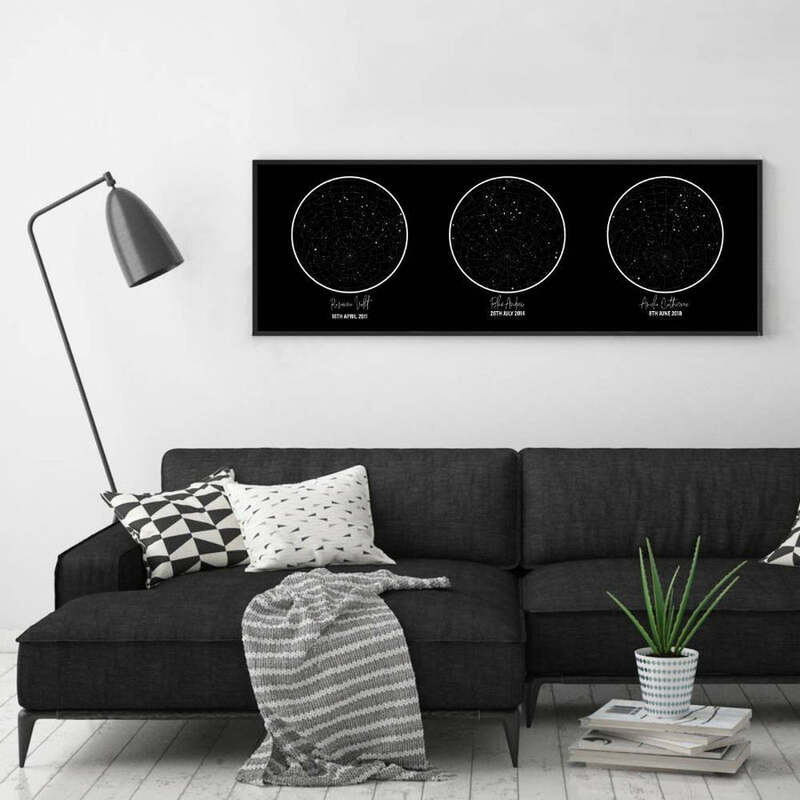 Discover our selection of personalised star map prints that accurately display the star positions in the sky on your chosen special moment in the past, present or future. A truly thoughtful gift that is perfect for any home. All of our personalised products are made in-house, so if you have a particular request such as a different colour, additional details, etc. we will be happy to help you out, just ask us!